Discussion in 'Archived Classifieds' started by andiuk007, Mar 10, 2013. Hi all, here I have my HD 7850 2GB for sale. I bought it last month from this forum, it was sealed brand new and unused when I bought it The card was bought from Amazon on the 22nd January. Only selling because ive decided to upgrade quite a few bits. 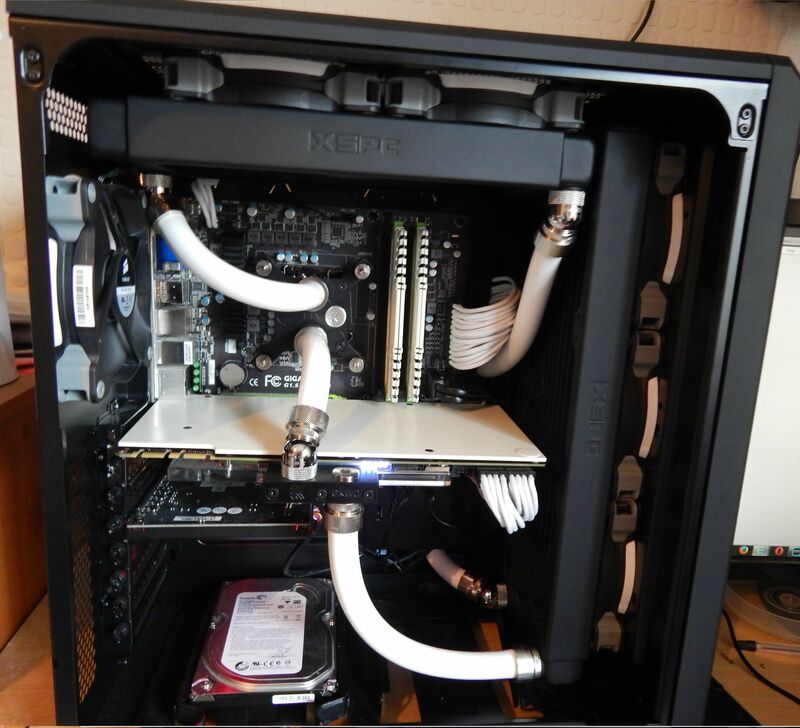 Corsair carbide 540, Z97 ASUS Maximus VII, i7 4790K @ 4.8GHz (lapped and delidded), 8GB 1866MHz. GTX 780 Classified, Sound Blaster Recon3d Fatal1ty Pro, Super Flower Leadex 1000w, Crucial MX100 512GB SSD, PNY 120GB SSD, 1TB HDD, Full Custom Waterloop. What was the warranty situation with this then?. Given that they are currently supplied with two games that are regularly sold on here for £40, is there any movement on price especially as in January it came with 5 games and a 2GB 7850 can be bought for sub £150 new with 12 month warrenty. Did you have a price in ming guv? If you was to reduce the price some more, i think that might make my mind up, but like Guv said, it can be bought for around £150 new with warranty with top games included. Feel free to make an offer pal. £95.00 delivered to start things off. what a price so you upgrading to 7950? I can confirm that the card unused by me and will be more than happy to help if i am ever needed. but the new owner will have to have my email as i do not visit this site of often. If a vendor reduces the price for a potential purchaser, that price becomes the new asking price for all. However, the item is reserved for that potential purchaser for 1 hour to accept that offer before others can buy it at the new price. (This is known as 'the one hour rule'. Big change in plan, i`m taking this 7850 down from sale, i`m going to keep it.